Apple’s ‘butterfly switch’ keyboard that has been featured in the company’s laptops since 2016 has been a target of multiple lawsuits and user complaints. 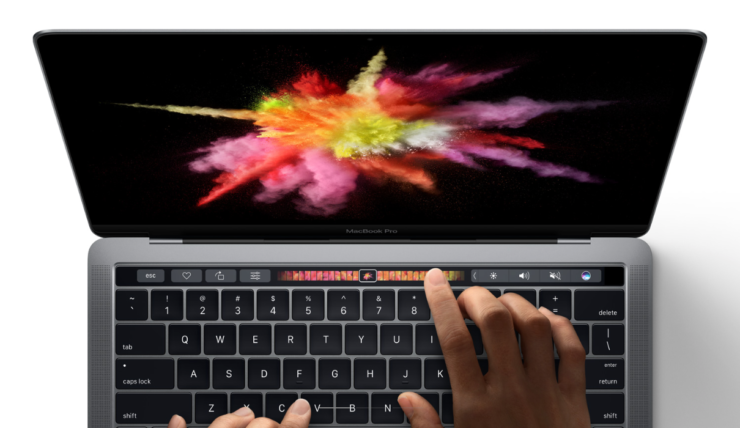 The company is supposedly working on a new user interface that will be less reliant on mechanical moving parts and more geared towards making the Touch Bar more capable when it comes to functionality. Pretty soon, we could be seeing a future MacBook or MacBook Pro who’s Touch Bar will be surrounding the entire keyboard. 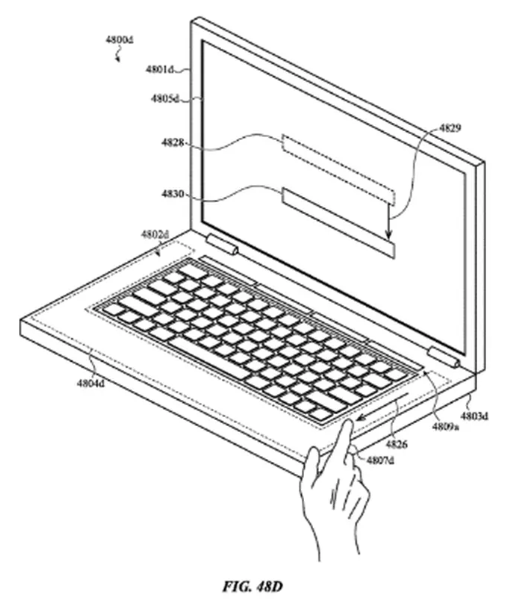 The company has reportedly filed for new patents related to its notebook’s keyboards. One of those talks about placing a digital panel in the place of a conventional keyboard. This could signal towards a plan to replace the traditional keyboard with a technology like the Touch Bar, though that keystroke feedback is going to become a massive factor down the road. The Touch Bar was introduced with the 2016 MacBook Pro lineup and it contains virtual, customizable keys. The patent has also detailed the sensors and haptics that will be embedded beneath the proposed digital panel. This will enable the system to be reactive to user inputs like taps, clicks, and keyboards. The second patent also talks about using the Touch Bar but in a different way. Instead of replacing the keyboard with a digital panel entirely, the plan is just to surround that keyboard with the Touch Bar. This will add touch sensitivity to the surrounding areas as well. The third patent talks about covering the keyboard with a protective membrane, probably to save it from dirt, water, and dust which were said to affect the keyboards of the second-gen MacBook Pro series. Apple has said before that even though the 2018 MacBook Pro family has a new third-generation ‘butterfly switch’ keyboard, nothing was specifically done about the ‘sticky key’ problem because of which Apple had to face several class action lawsuits. The company had resolved the issue by offering a free repair program to placate disgruntled customers. However, a teardown of the latest MacBook Pro laptops has shown that Apple has tried to mitigate this problem with the incorporation of a new silicone membrane to protect the keyboard from dust and water. Do you think adding a Touch Bar that surrounds the physical keyboard is a great idea? Tell us down in the comments. Cyber Monday 2018 Apple MacBook Pro Deals Offer Up To $500 Off!